People who have a nice pool at home must know a safety fence around the pool is very essential. It will protect the children and toddlers from falling in and drowning when nobody is there with them. You will find different types of fences, but glass pool fencing comes with a lot of advantages which makes it popular in the market. It comes with an elegant look. As it is transparent you can clearly see right through it and there will be no hindrance in the view. As you get a clear picture of the pool you can easily keep an eye on your children even from a far-away distance. The spigot holds the glass covering tightly to the concrete base so that it can stand upright. It is usually made up of aluminum or of stainless steel. They are made short so that they do not hamper the view of any place. The glass pool fencing uses tempered glass which is very sturdy and durable. To make this glass strong it goes through a heating process of over 700 degrees and then it is cooled. This makes it so strong that it acquires the ability to withstand cracking if someone falls on it. It is so sturdy that even if it is dropped on a hard surface it won’t break. This type of fencing doesn’t get rusted, so it does not require oiling, painting or any other type of maintenance. Occasional cleaning with plain water or detergent solution is enough to maintain its good looks. Glass pool fencing allows you to take the pleasure of flattering your garden and garden flowers despite where you are sitting. You will get to choose a wide range of glass pool fencing in the market. They are either semi-frameless or frameless fencing. Both have the same function, you can choose the one according to your taste. Semi-frameless fencing – This type of fencing is cheaper than the frameless glass fencing. They normally come with stainless steel or alloy posts that are paved into the ground. In semi-frameless fencing, the glass that is used is about 8mm to 10 mm thick. Frameless fencing – This type of pool fencing is costlier. The glass that is used in this type of fencing is very thick; around 12 mm. The thickness of the glass is more because it won’t have any frame support. You will get posts along with a frameless fence, but it is paved into the ground. Why are Glass Fences Chosen Over Other Fences? Pool fences are built exclusively as a safety barrier to protect the children or the pets from drowning. But nowadays people want to showcase the beauty of the pool and for this glass, fences are the right choice. Though they are costly, they will make your pool beautiful and attractive. 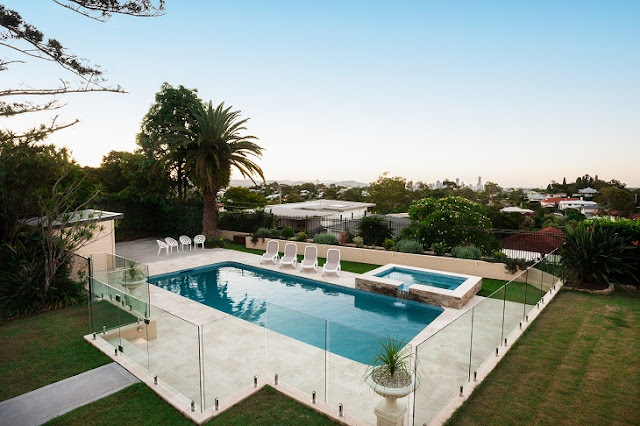 Reasons behind choosing glass pool fencing over other fences. You will get a clear view – The most important reason for installing a glass fence is to get a clear view. With this, you will get an incredible view of the pool. They are durable and safe – Glass fences are very sturdy and durable. The companies that offer this type of fences first make sure that the glass panels have the suitable length and width to make sure that they are strong and long-lasting. 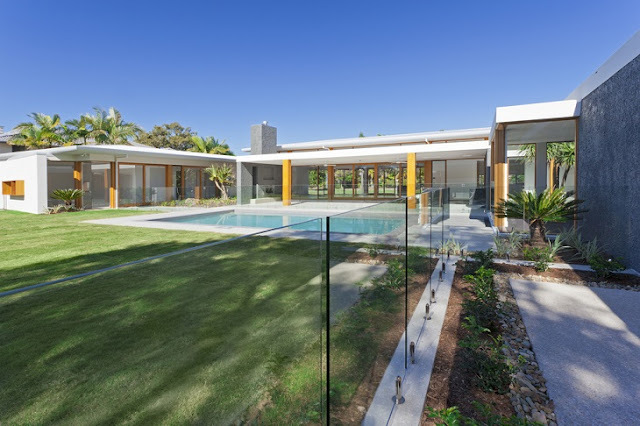 These fences are very good looking – When it comes to classiness and style nothing can beat glass pool fencing. They are available with or without frames. Whatever you choose, in one-word glass fences are just wonderful.